J D THOMPSON (1871) The 432 ton wooden bark J D Thompson was abandoned in the ice around Point Belcher September 14, 1871. The bark was valued at $45,000 and was in the whaling trade out of New London, Connecticut. JACOB A HOWLAND (1895) The 355 ton whaling bark Jacob A Howland was lost at Strong Island in the South Pacific in 1895. She was valued at $50,000 with cargo at the time of the casualty and was out of San Francisco whaling in the north Pacific. JAMES ALLEN (1876) The 349 ton wooden whaling bark James Allen was caught in the ice and abandoned NE of Point Barrow September 12, 1876. The vessel was out of New Bedford, Mass. and valued at $36,000. She was carrying 1,600 barrels of whale oil and 10,000 lbs of whale bone valued at $65,000. JANE GREY (1888) The 109 ton schooner Jane Grey was caught in a lee shore during a tremendous gale and wrecked August 3, 1888 near Point Barrow. Other vessels caught in the same event included the Mary & Susan, Fleetwing, Young Phoenix and Ino. Many of the crews were rescued by the Revenue Cutter Bear. The Jane Grey was registered in San Francisco and captained by W H Kelley. JAVA 2nd (1876) The 290 ton wooden bark Java 2nd was caught in the ice and abandoned northeast of Point Barrow September 12, 1876. The Java 2nd was out of New Bedford, Mass and valued at $25,000 at the time of the disaster. She was carrying 800 barrels of whale oil and 3,000 lbs. of whale bone valued at $28,000. JESSIE H FREEMAN (1897) The 516 ton steam whaling bark Jessie H Freeman was crushed in the ice and abandoned September 22, 1897 off the Seahorse Islands. The crew escaped to the Belvedere and later walked to Point Barrow to spend the winter. The vessel was burned accidentally by Eskimos and sank. The Jessie H Freeman was valued at $50,000 with her cargo of whale oil, bone and supplies. She had departed San Francisco March 9, 1894 bound for whaling in the Arctic. 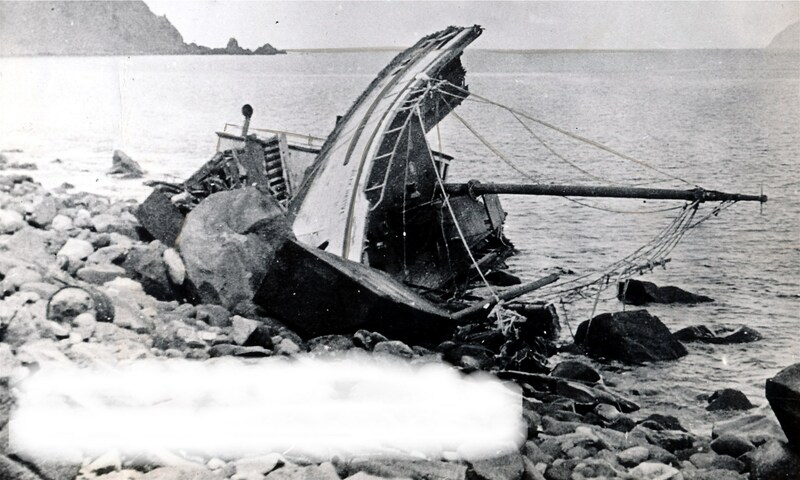 JOHN CARVER (1886) The 319 ton whaling bark John Carver was crushed in the ice and abandoned north of Saint Lawrence Island, 25 miles south of King Island June 21, 1886. The vessel drifted eventually to Cape Thompson. The crew was picked up by the bark Atlantic after being in boats 33 hours. The John Carver with cargo was worth $50,000. She was carrying 570 barrels of sperm oil, 1,080 barrels of whale oil, and 7,500 lbs. of whale bone. The cargo was salvaged. The vessel had left San Francisco December 5, 1885. JOHN HOWLAND (1883) The 384 ton whaling bark John Howland was stove in by ice, abandoned and condemned south of Point Hope July 17, 1883. She was valued at $32,000 with her cargo of whale oil and bone. The vessel had departed San Francisco December 9, 1882 to whale in the Arctic. The John Howland caught fire July 20, 1883 and sank on July 21st. JOHN WELLS (1871) The 357 ton wooden whaling bark John Wells was abandoned in the ice near Point Belcher September 14, 1871. She was out of New Bedford, Mass and valued at $40,000 at the time of the disaster. JOSEPHINE (1876) The 363 ton whaling bark Josephine was caught in the ice and abandoned NE of Pt Barrow September 12, 1876. The vessel was out of New Bedford MA and worth $57,000 with her cargo of 1,400 barrels of whale oil and 10,000 lbs. of whale bone. JULIAN (1871) The 290 ton wooden whaling ship Julian was abandoned in the ice near Point Belcher September 14, 1871. Her home port was Honolulu, Sandwich Islands and estimated value $40,000.